The Denver Mother Attorneys Mentoring Association (“Denver MAMA”) was founded in 2012 in an effort to empower attorney mothers and encourage them to succeed while celebrating their roles as attorneys and mothers. We are devoted to furthering the interests of mother attorneys in the Denver Metro area. 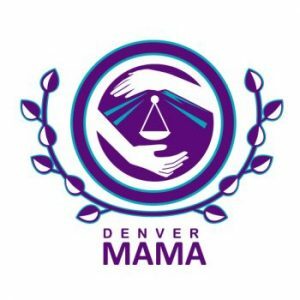 Denver MAMA is intended to be a source of support for attorney mothers. It is a group where women can network, share experiences, learn from each other, problem solve, and talk about issues they face in a supportive environment. Denver MAMA aims to enhance the recognition of mother attorneys in the profession and community; promote the advancement of mother attorneys within the profession; facilitate the achievement of work-life balance; provide a forum for informing members and the legal profession about issues of particular concern to mother attorneys; facilitate the transition for attorney mothers who have taken time off and wish to re-enter the profession; support mother attorneys contemplating alternative work schedules or extended leaves of absence; and increase the interaction between mother attorneys of diverse backgrounds and practices. Denver MAMA meets once a month for brown bag lunches. These meetings focus on topics of interest to attorney mothers. Denver MAMAs also get together with our children for weekend events in the Denver area. These monthly events provide attorney mothers with a forum to network, socialize, and problem solve in a supportive and child-friendly environment. The meetings usually take place at various Denver venues that appeal to children.